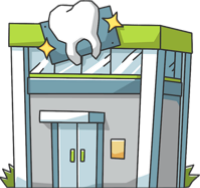 These are the most common insurances accepted by Dentists in Edmond, OK.
From the time I walked in the door I was treated like I had been going there all my life. Everyone was very friendly and helpful and Dr Wedel was excellent and I would recommend her to anyone.. Although her staff is absolutely amazing(&so sweet), I was not satisfied with Dr. Wedel herself. She confirmed that my pain is being caused by an infection, but did not offer antibiotics or anything of the sort. She tried to constantly sell me on several extra things that were very pricey & unnecessary. After thorough research, I chose her specifically to have my wisdom teeth removed, but she will not extract teeth that are "slightly crooked", but atleast she told me that. I will not be back..
Dr. Ryan is the worst dentist I have ever been to. I would not recommend him to my worst enemy. Every time I go in for an appointment, he ends up making the problem I had worse than it was when I went in.. Outstanding dentist. Outstanding man. Outstanding staff. I would give more stars if I could..